There is no muscle that rounds out a balanced physique like the traps. They sit next to your neck and on top of your shoulders. Consider your chest and shoulders the mantle. The traps would be the trophy that sits on top of that mantle. I’m not sure about you, but I know for damn sure that I have no place for a participation ribbon on my mantle. The trophy that sits on the mantle must be of mass proportion. There is no need to waste that precious space with a simple ribbon. There’s no place for a runner-up trophy either. It’s time to build some champion sized traps! The traps are one of the most overlooked muscle groups in the body. They sit just above the forearms but below the calves. When you have a few extra minutes after destroying your shoulders and triceps, you load up the bar for a few sets of shrugs. After mainly using your calves for that 800 pound set of “shrugs” you call it a day. Weeks later you see little result from your efforts, and of course you blame the exercise. Oh, dear friend, you need a real lesson in training your traps. We are talking about squeezing your traps on every rep. Most people perform trap exercises like they are performing some horrid version of calf raises. Way too much muscle involvement for such a simple exercise. The shrug is about a two to three inch movement, yet you’ve got the whole van shaking. Perform the exercise with a slow and controlled motion. Keep the weight off of the rack until you are finished. Forcefully contract your traps to pull the weight up. Squeeze for one to two seconds, and slowly lower the weight. Repeat for X number of reps (the preferred rep range is 6-8, as long as each rep can be performed without excess motion). This doesn’t mean you need to head over to the dust ridden stretching contraption. Though, it wouldn’t hurt to stretch after your workout. This is the fun one for you plate loading freaks. You can load up a barbell and hold the stretch for as long as possible. This isostatic stretch can help loosen the area but can also help you build strength. You should also see great increases in grip strength as well. If this exercise is not for you, then be sure to keep some form of a deadlift in your leg routine. Guys with massive traps have mentioned they noticed serious trap growth through deadlifting. 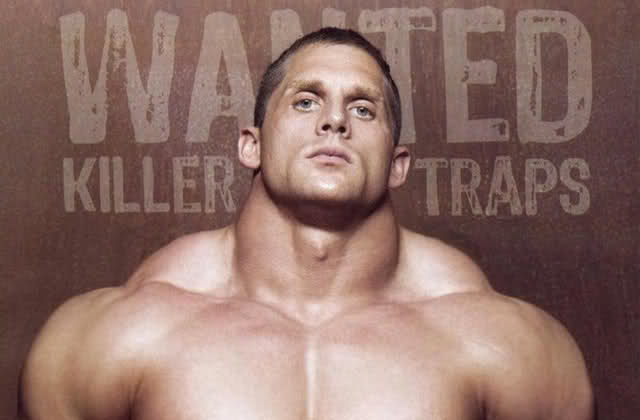 Ok, so you aren’t really going to row your traps, but you will use various forms of rows to gain massive traps. Upright rows, bent-over rows, one-arm rows, as all of these work your traps and provide a great stretch. Be sure to really feel your traps stretch on each rep (as you already should be doing). Just like in key 1, you really need to squeeze at the top. Feel those muscles grow! Remember… squeeze, stretch, row, squeeze, stretch, row. The keys to growth only work if you implement them. So, once you finish reading, head to the gym and get to growing! Seriously, GO, NOW!